A rocky mountainside covered with desert vegetation on the background of mountains and a picturesque cloudy sky on a summer day. 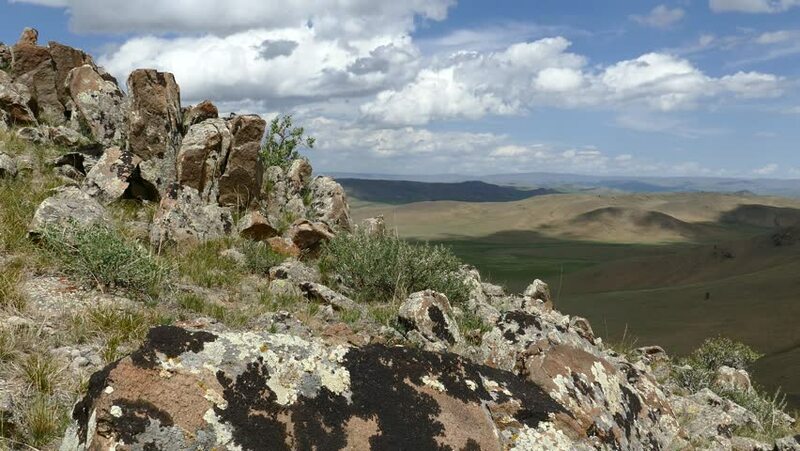 The Mongolian landscape. 4k00:12Mountain on day in Montenegro. 4k00:27 Crimean mountains. Mountain Chatyrdach . View from the mountain. Stones on the mountain. Mountain landscape.